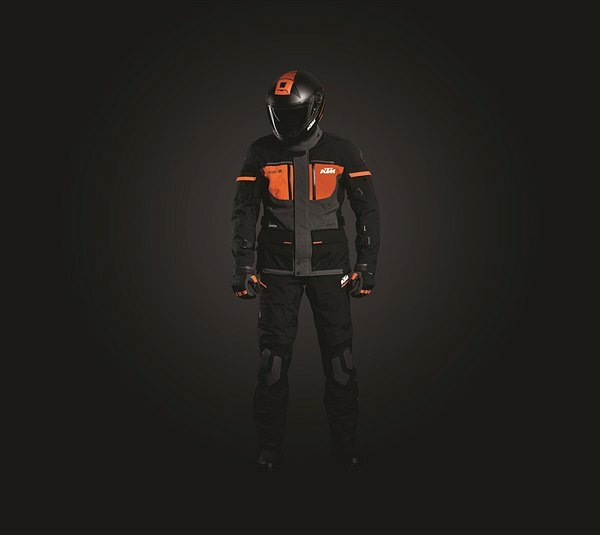 Exclusively designed for KTM by Alpinestars and joining the existing GTX TECH-AIR® functional clothing line, this new collection consists of jacket, pants and gloves and is suitable for all-year use and for any weather. 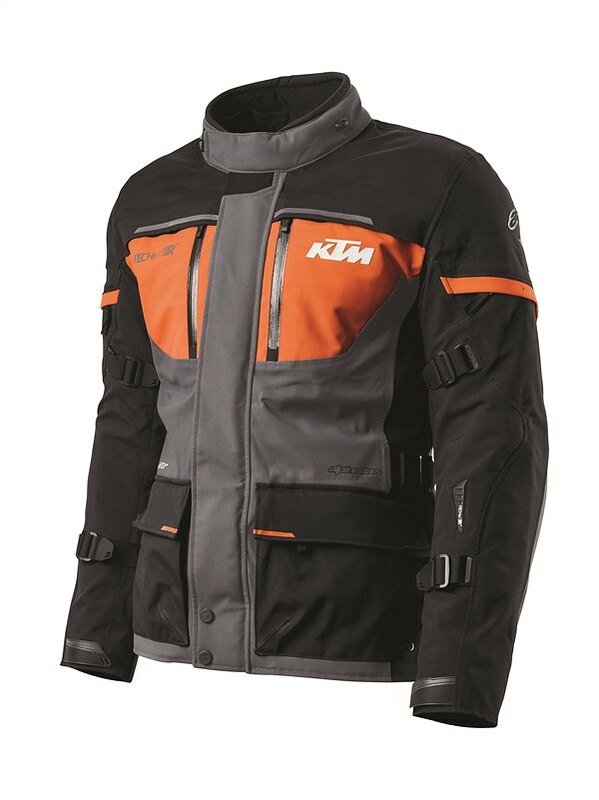 The ELEMENTAL GTX TECH-AIR® JACKET has been designed for hitting the road – literally! 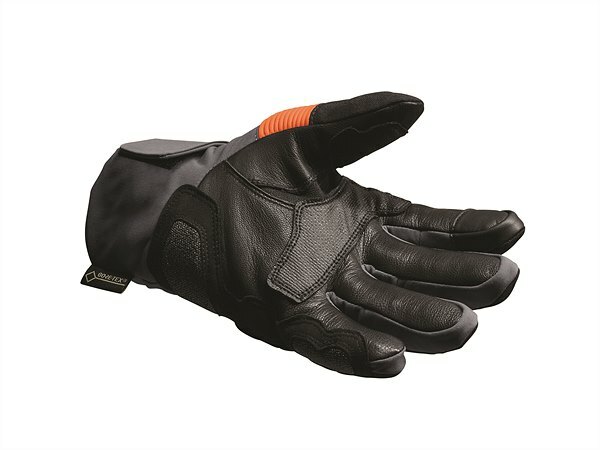 Providing the rider with all the necessary comfort and safety features of the highest standard. 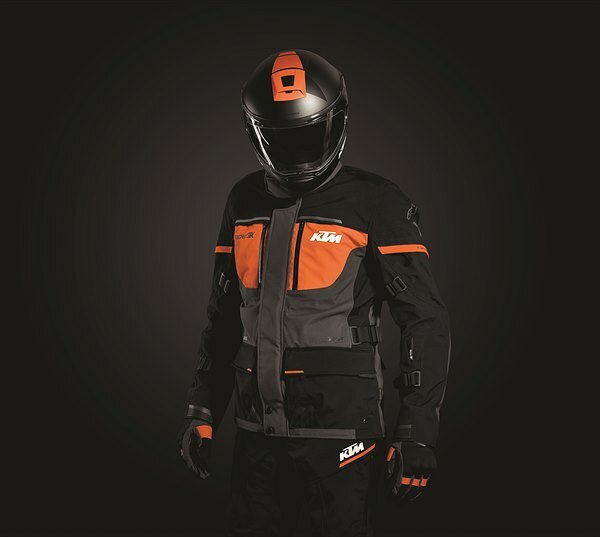 Compatible with ground-breaking TECH-AIR® (available separately) airbag deployment technology and offering superior body armor and abrasion resistance, it sets a new benchmark in rider protection and all-weather adaptability. 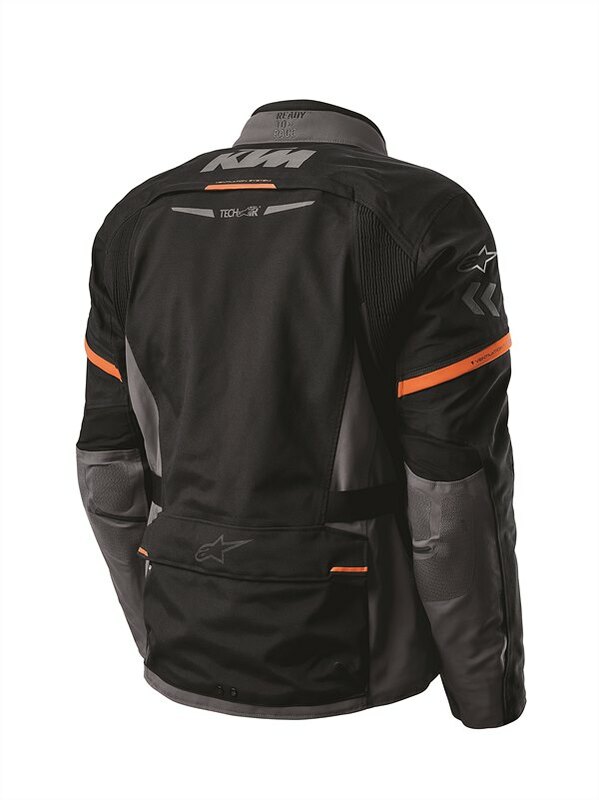 The Alpinestars TECH-AIR® airbag is the world’s first self-contained airbag system, covering the back, chest, shoulders, and kidneys. No cables or wires need attaching to the bike to make use of this system. Its sensors typically detect an impact between 30-60 milliseconds and fully inflate the airbag in under 25 milliseconds, thanks to cutting-edge electronics and complex algorithms, to provide a new dimension of rider defense. 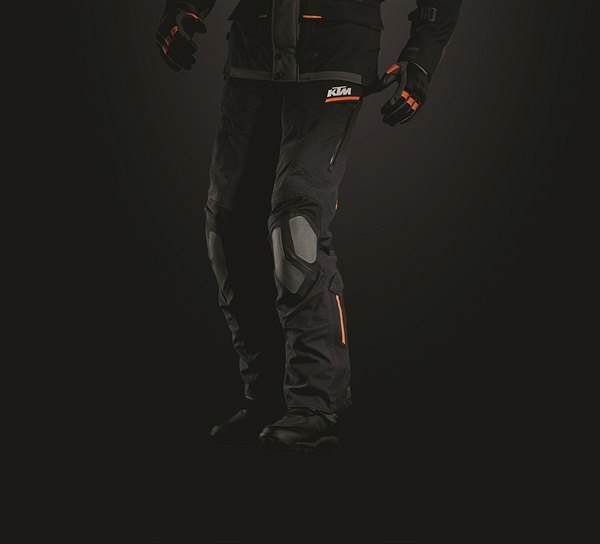 Besides protection, comfort is paramount with the ELEMENTAL GTX TECH-AIR® GEAR. 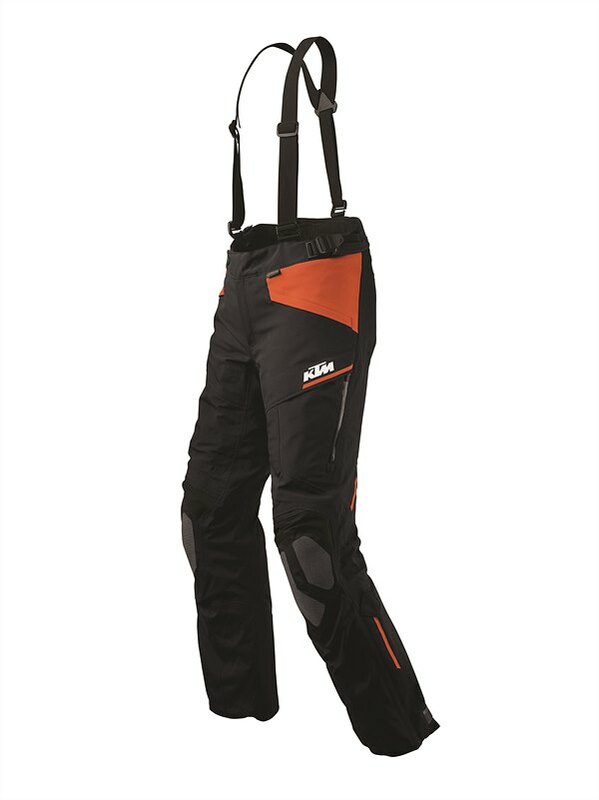 The premium, multi-panel adventure touring jacket and pants are laminated with a 3-layer GORE-TEX® membrane and stand out by a multilayer exterior material which represents an optimal combination of protection, durability and weight. This construction is breathable but at the same time wind and waterproof. 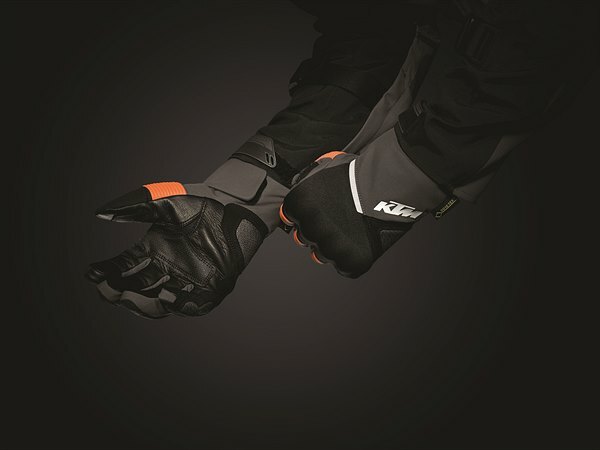 The garments are actively styled with excellent freedom of movement, with the ELEMENTAL GTX TECH-AIR® PANTS featuring a preformed knee structure and height-adjustable protectors – everything to increase the rider´s comfort as well as safety. 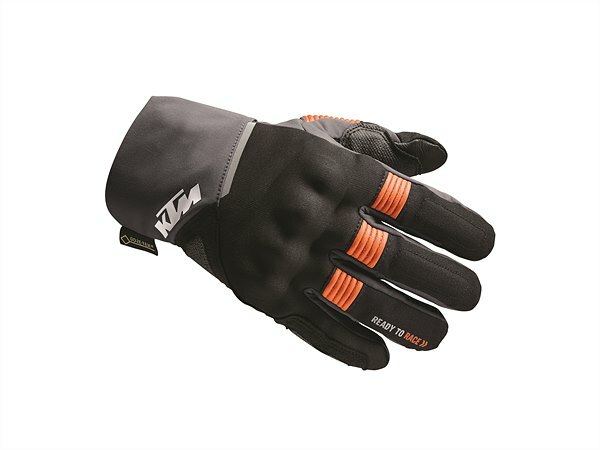 The ELEMENTAL GTX TECH-AIR® GEAR is complemented by the matching ELEMENTAL GTX TECH-AIR® GLOVES, these high-performance touring gloves boast a 100% waterproof GORE-TEX® membrane to guarantee weather protection and improved breathability. Helping to further guard delicate hands are protectors on the fingers and knuckles, with reinforcement in the palm area.